After reuniting almost four years ago, the one of the greatest bands in music history and one of the founders of the metal genre, BLACK SABBATH now announce ther farewell tour. “We were saddened to hear yesterday via Facebook that Bill declined publicly to participate in our current Black Sabbath plans…we have no choice but to continue recording without him although our door is always open… We are still in the UK with Tony. Writing and recording the new album and on a roll… See you at Download!!! 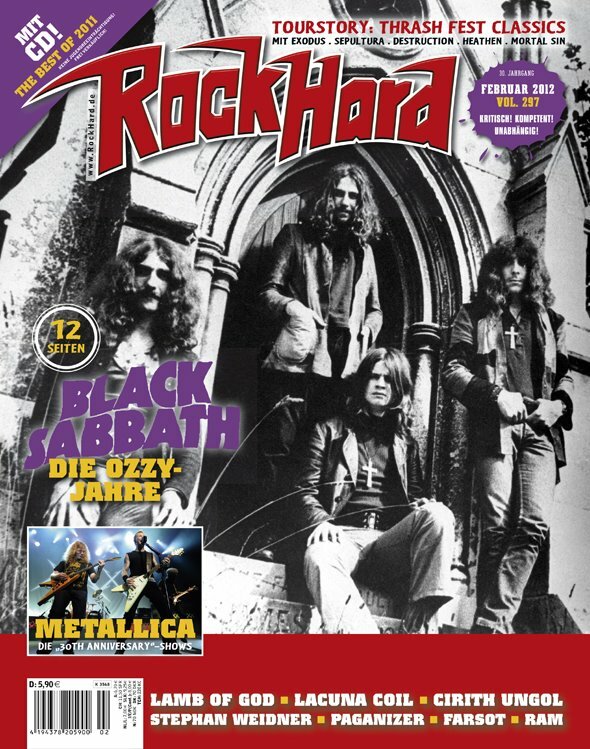 Available from tomorrow on for German audiences: The new issue of Rock Hard Magazine – the first of 2012 contains what can allready be called the best Cover of this year! Check it out and get your copy. An apparition of a young Ozzy Osbourne, psychedelic music swells in the background, heads are banging – suddenly you wake up and realise the 70s are over BUT still it was no dream. This foursome creative collective delivers about everything retro&occult, yet manages a very unique outcome. Cleary much of their recognition are the vocals of Theo Mindell, the ever charming centre of attention. Still none of the other three members – Mark Thomas Baker (Guitar), Keith Nickel (Bass) and Carter Kennedy (Drums) – has to hide behind him. On stage and in the studio this band works in unison unlike a huge part of those who try to get a piece of the retro pie. 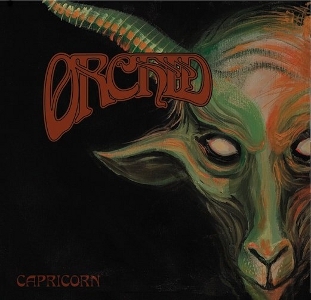 The bands’ first full-length album “Capricorn” has a more yearningly touch to it, compared to the 2009 EP “Through The Devil’s Doorway” which has a quite forwarding momentum. If this development is “right”, one might figure out him – or herself. As for me, the atmosphere is just right. With all tracks together making a duration of almost an hour, you have to slow down every once in a while. The first fuzzy “half” is an invitation to all headbangers, then it all goes “Down Into The Earth” and in the end the “Albatross” slowy disappears. The best approach is always to regard the work as a whole and as a result of a certain span: The songs on “Capricorn” are like the memory of a summer and I can picture Scott McKenzie handing out flowers to the people passing by. Considering ORCHID‘s origins it all makes sense and if you can: Grab yourself a tambourine, take the next ride to San Francisco and go with the flow, but beware: This music is highly addictive! I could not pick one song to name as the ONE hit, cause all nine tracks are special and altogether they make the album complete. But I guess the titletrack “Capricorn” is most memorable. ORCHID currently are recording their follow-up album, due for release in early 2012. And as for some trivia: Vocalist Theo works as a (tattoo-)artist and also made the cover artwork for “Capricorn”. 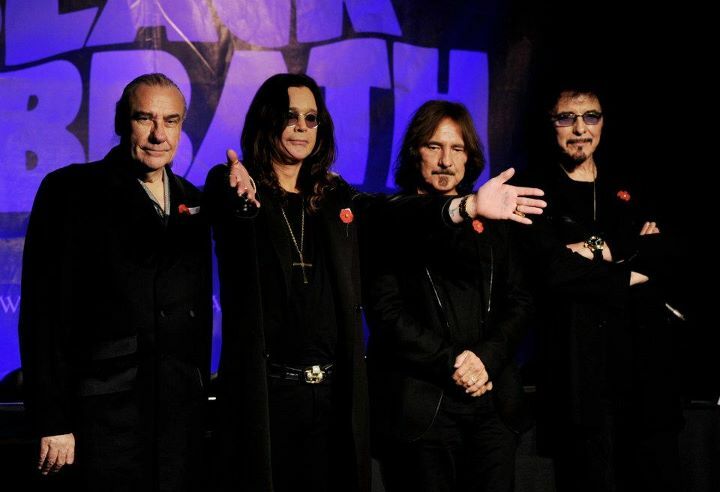 Just one week after their 11-11-11-Announcement, BLACK SABBATH have just revealed dates for the upcoming 2012 World Tour! 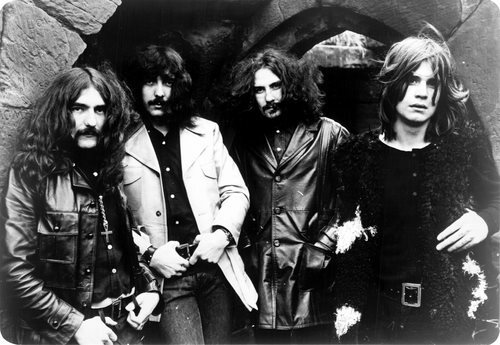 November 18, 2011 — Rock legends BLACK SABBATH will headline a number of Europe’s premier festivals in 2012. After announcing their reunion on 11.11.11, these worldwide appearances are one of the most anticipated music events of 2012. Kicking off on Friday May 18th in Moscow at Olimpski, the tour will bring BLACK SABBATH to the masses at:Download Festival [UK], Azkena Rock Festival [Spain], Hellfest [France], Graspop Metal Meeting [Belgium], and Gods of Metal [Italy]. However, that’s only the beginning of the group’s global tour which will take the band around the world including countries the band has never played before and others they have not visited in more than three decades. 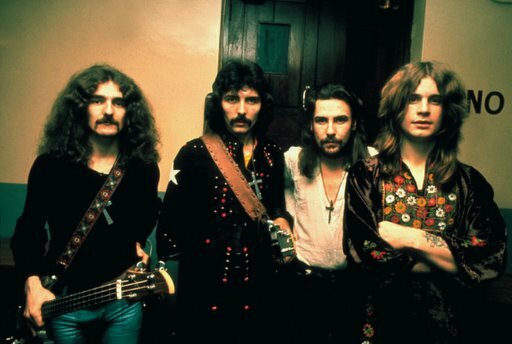 The four original members of BLACK SABBATH—OZZY OSBOURNE (vocals), TONY IOMMI (guitar), GEEZER BUTLER (bass) and BILL WARD (drums)—are currently recording their first studio album in 33 years with legendary producer RICK RUBIN (seven-time Grammy winner, two of those as Producer of the Year) for release worldwide on Vertigo Records, and Vertigo/Universal Republic Records in the US in the fall 2012. Revered music and spoken word artist, Henry Rollins, has said that “BLACK SABBATH’s music is ultimate bone-powderizing gear. Any band worth their weight in napalm wishes they had written „War Pigs.‟ The critics never got it, but the fans did and still do, and the music has not lost any thunder with time but in fact resonates more loudly…Hail the mighty Black Sabbath now and forever.” Music fans across Europe are in for a night of epic proportions from the Grammy-winning, Rock and Roll Hall of Fame inductees on this very historic return.